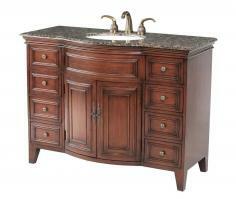 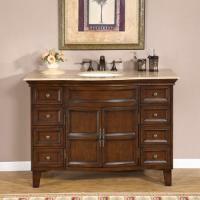 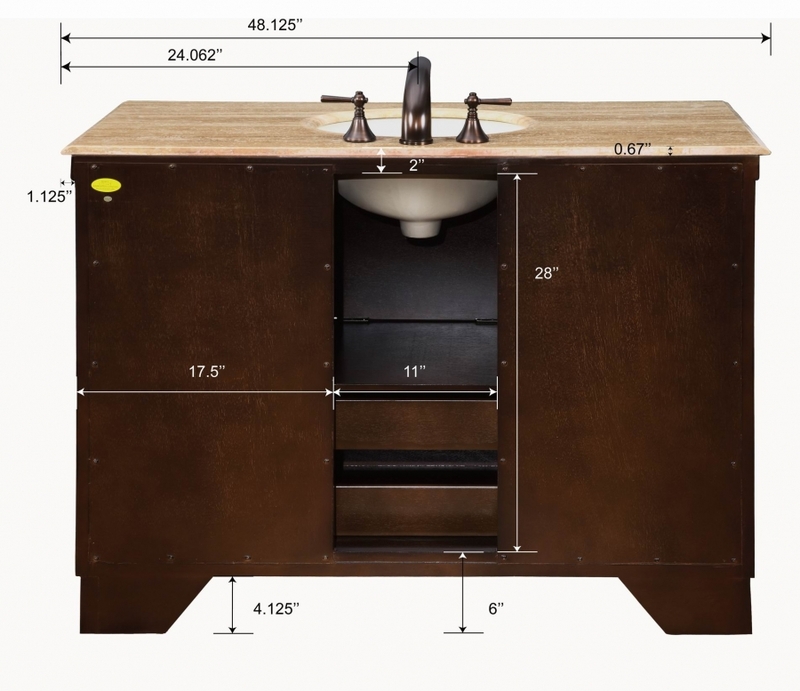 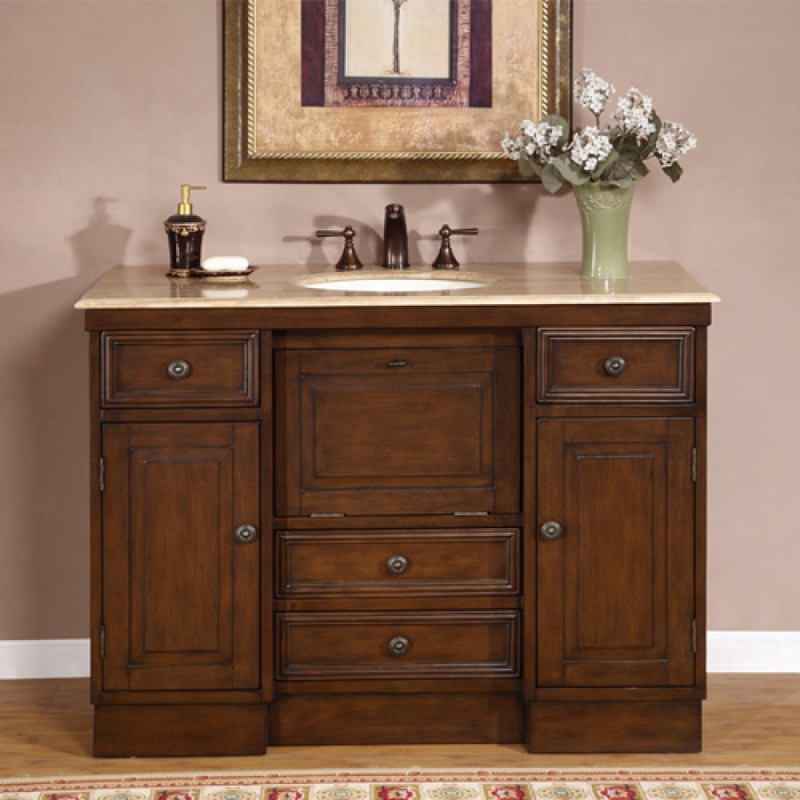 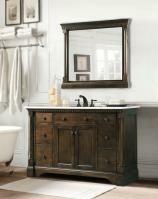 The layout of this traditional single sink bathroom vanity brings plenty of counter and storage space to your area. 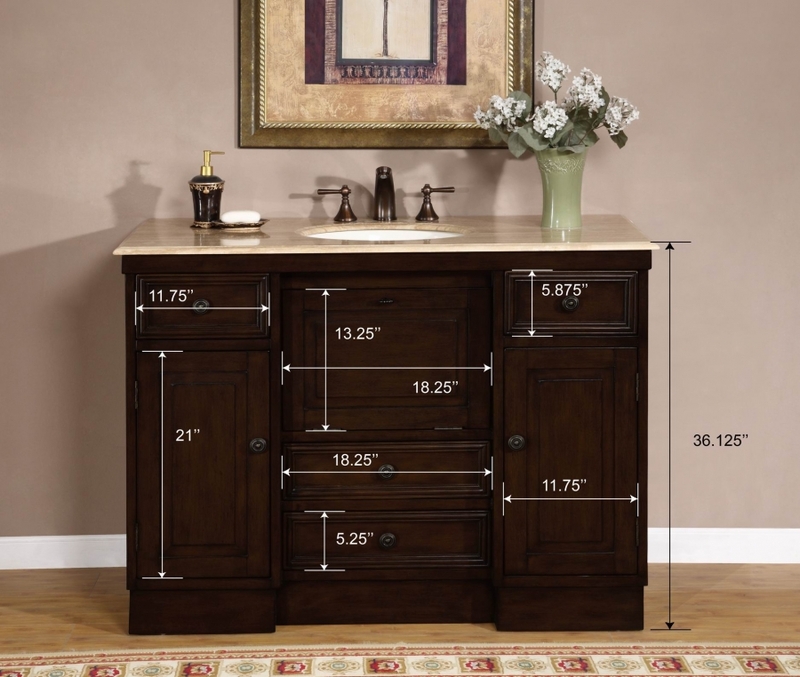 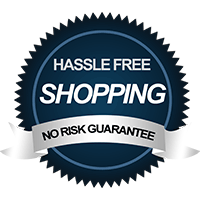 Three cabinets with interior shelves as well as four drawers mean you have plenty of options for storing your stuff. 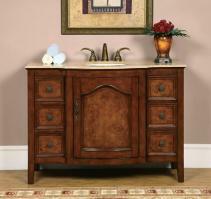 The rich walnut tone of the cabinet mixes nicely with the travertine counter top for a simple and luxurious look.